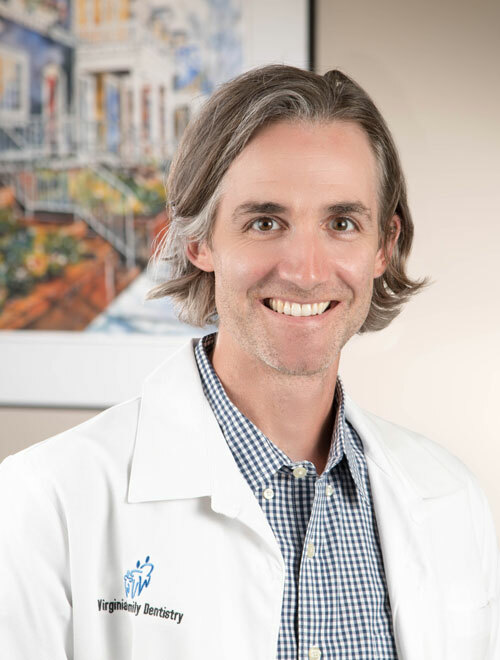 Dr. Pete Appleby, a Virginia native, graduated with distinction from University of Virginia before receiving his DDS from the Medical College of Virginia at VCU. After graduating, he completed a rigorous certificate program in Advanced General Dentistry at The University of California, Los Angeles. This advanced training covered all aspects of family and cosmetic dentistry, with a specific focus on implants. Dr. Appleby is a Fellow in the Academy of Oral Implantology, a member of the Richmond Dental Society, and a member of the American Dental Association. He has volunteered his time to local dental charity organizations as well as the Indian Health Service where he worked directly with Native American Tribes. Pete, as he is known by his patients, is able to bring you the most up-to-date techniques in treatment. He is here to help with your dental needs from cleanings and cavities to solving more complex problems like crowding, missing teeth, or smiles in need of a complete rejuvenation. Dr. Appleby prides himself not only on the quality of his care, but establishing open and honest communication with his patients. In his spare time Pete is a licensed pilot, shade-tree mechanic, and garage engineer. He enjoys building and flying model planes, rock climbing, writing and recording music, and racing his full-scale sailplane across the beautiful skies of Virginia.